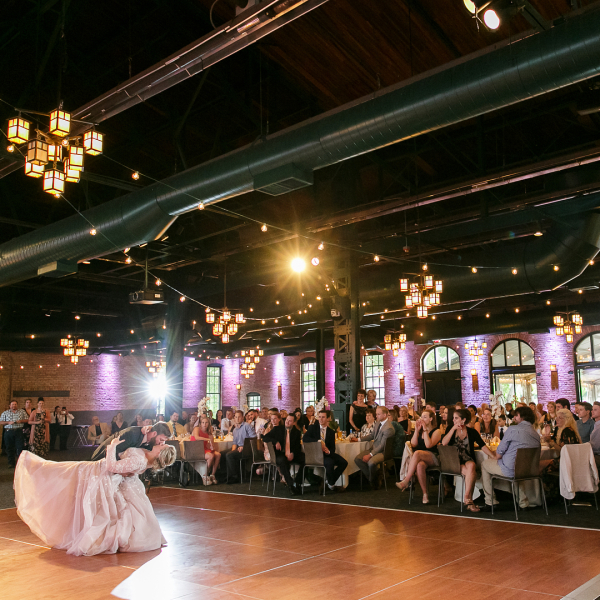 Add Just A Little More Flavor to Your Venue! Custom made lighting display that can be projected onto any area in brilliant white light. Static displays start at $250. ​MONOMOTION displays are available as well! 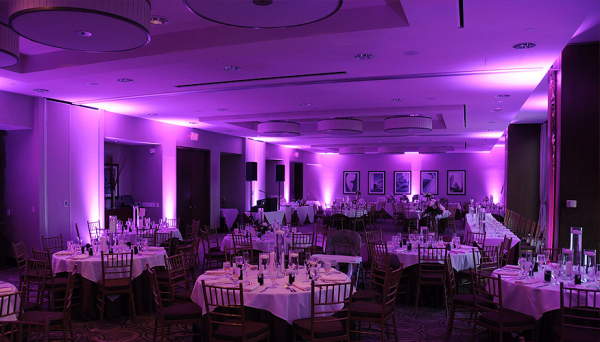 Our wash lighting will cover your venue in a brilliant light choice of your color. 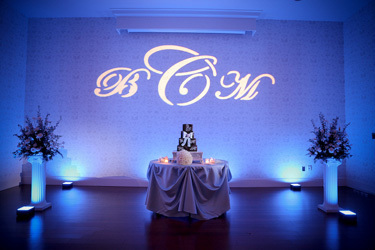 Let us help you build a lighting display to compliment your wedding colors!